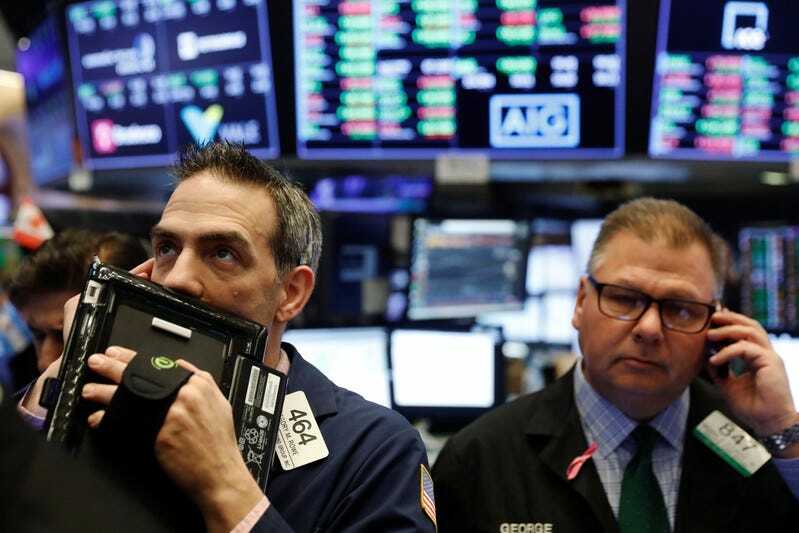 Stocks fell sharply Monday, dragged lower by mega-cap technology companies, as Wall Street worried about global growth and trade tensions amid a quiet week for economic data. The tech-heavy Nasdaq 100 index plummeted more than 3.3%. It’s currently on pace for it’s lowest close since the beginning of May, having fallen almost 13% since reaching a record on Aug. 29. Meanwhile, the S&P 500 fell 1.7% and the Dow Jones Industrial Average shed 1.9%, or nearly 500 points. iPhone suppliers, including Lumentum Holdings Inc. (-6.2%) and Universal Display Corp (4.1%), were also hit amid worries about faltering demand. Shares of the world’s biggest technology company are down more than 10% this month. Other FAANG stocks took a beating, with Amazon down about 4.8% and Netflix about 5.3% lower. Facebook shed 5.4%, and Google-parent company Alphabet fell 3.5%. Semiconductor companies extended sharp declines from last week when Nvidia (-9.7%) posted revenue and guidance that missed analyst expectations. Advanced Micro Devices (-7.2%), Cypress (3.2%) and NXP Semiconductors (3.1%) were among losers in the sector.